A fire destroyed a home and killed two pets Saturday morning in Winthrop. 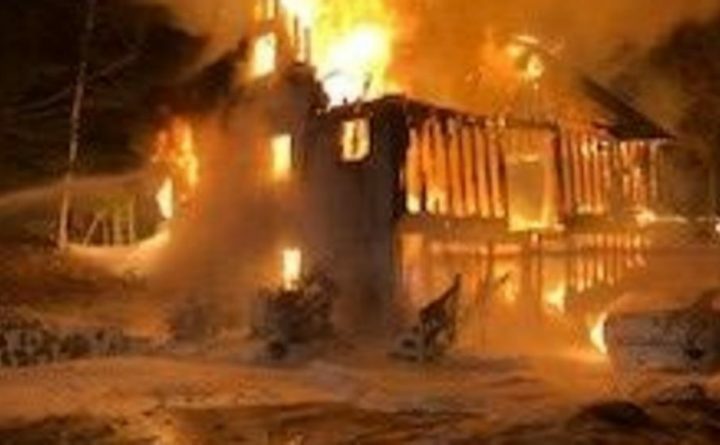 A fire killed two pets and destroyed a home in Winthrop Saturday morning, according to the Winthrop Fire Department. Firefighters said they were dispatched to the home along Boot Cove Lane at 2:30 a.m. When they arrived on scene, crews said the home was engulfed in flames. Two people who were renting the home were able to escape without injury but investigators said a dog and a cat died in the fire. It took crews more than four hours to get the fire completely knocked down. The home is a total loss. The cause of the fire is still under investigation, but it is not considered suspicious, according to Winthrop fire officials.